Here is an inter­view I did for RT today as the news broke that the UN Work­ing Group on Arbit­rary Deten­tion would announce tomor­row the find­ings of its report into the Juli­an Assange case. The BBC appar­ently repor­ted today that the rul­ing would be in Assange’s favour. 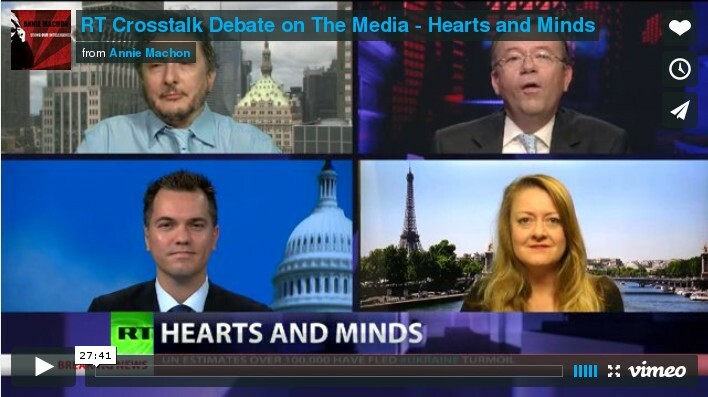 RT Inter­view re Assange UN Rul­ing from Annie Machon on Vimeo. Wikileaks — CIA officers operating in the EU? Undeclared CIA spies in the EU? My recent RT Inter­view from Annie Machon on Vimeo.